When I was a kid, I grew up with cats. We always had a cat (usually two) in the house, and we could never get any other animals (fish, birds, etc.) because it just wouldn't be fair to the cats. We lived too close to the road for a dog. There's something about having an animal in the house – one you look after and whose life you're invested in – that informs the way you grow up. 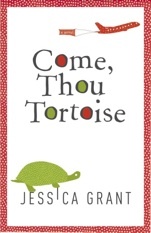 In Jessica Grant's novel Come, Thou Tortoise, Audrey Flowers doesn't have conventional pets. Rather, she has a hand-me-down tortoise named Winnifred and a rescued white lab mouse named Wedge. Audrey, Oddly, Flowers is living in Portland, Oregon, at the beginning of the novel. She cuts grass and does other general maintenance work, and lives with her tortoise Winnifred, who lives in a purple papier mâché castle that Audrey built after Cliff left. Cliff was the apartment's previous tenant. Cliff brought Audrey to Portland after they met in the Yelps – Alps (wordplay, both in meaning and sound, is a big part of Audrey's world) – and fell in love. Then Cliff left, and gave the tortoise to Audrey. Cliff received the tortoise in the same manner. Winnifred, as it turns out, has been passed down from tenant to tenant for years, undergoing name and status changes each time. Audrey and Winnifred are living relatively contentedly in Portland at the beginning of the novel, but then Audrey gets a phone call. Her father is in a coma. He was hit by a Christmas tree that was hanging out the side of a pickup, and Audrey must steel herself to get on a plane and fly home to Newfoundland, leaving Winnifred with friends. Before Audrey disembarks in St. John's it's clear she is an unusual woman. Besides the language play, she manages to cause all kinds of trouble both on the plane and in the subsequent airport. Audrey is not a good flyer. It gets worse when she lands, sees her Uncle Thoby, and realizes that she is too late. It's Christmas and there's a provincial election in the works – her dad's two most favourite things – and he won't be around for either. Audrey is a mess and Uncle Thoby is worse because in Audrey's refusal to deal with it, he has to handle everything. What follows is the most hilarious grief-stricken story I have ever read. Audrey's refusal to face reality is as devastating as the strange things she does to avoid it. 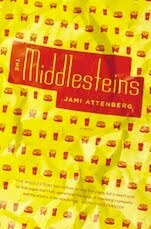 Really, the more you get to know her, the more magnetic she becomes, which is certainly because of the care Grant put into her prose – not just the language she uses, but also the way she has structured her novel, from sections to the lack of quotation marks delineating her lively dialogue. Sometimes odd characters come across as self-consciously different; as if the writer has picked each name and character detail specifically to craft quirky characters who do strange things. Come, Thou Tortoiseis filled with unusual people, but rather than having them seem disingenuous for it, the characters Grant has written are strange because their honesty allows you to see them for who they really are, and deep down, all people are pretty strange, they just know how to hide it. It says a lot about the atmosphere of Audrey's childhood that she was never taught to put away her strange inner life when other people were around. It's this lack of self-consciousness that allows her to not only believe Wedge, her mouse, was stolen from her father's wake, but to actually go around looking for him and accusing possible suspects – as though life can be solved as easily as Clue, her favourite game. And then her Uncle Thoby goes missing. Well, he leaves without saying goodbye, and suddenly Audrey is alone in St. John's, in her father's old house, with no Wedge and no Winnifred. But Grant doesn't let her characters, or her readers, give up in despair. Audrey is plucky, and when there's a mystery to work out, she is on the case. And that's one of the best things about Come, Thou Tortoise: it refuses to let you be sad for more than a moment, and instead offers up wonderful moments of insight and observation, coupled with a whimsical, word-play-filled, sense of humour. Add that to a movement between Audrey's present, Audrey's past, and scenes from Winnifred's perspective, and you have a novel that climbs into your head and won't let you think about anything else.Come, Thou Tortoiseis a novel about a lot of things – grief, family, secrets, love – but mostly it is about learning to accept change, and the wonder that is returning home.